Feeling comfortable in our own skin...there's only one way we can and that is from the inside out. Years ago, I was caught in a cycle of sensitive skin, acne breakouts and the ups and downs of growing up in college. I stayed up late, studied after classes and was eager to spend my evenings with friends being social or active outdoors. 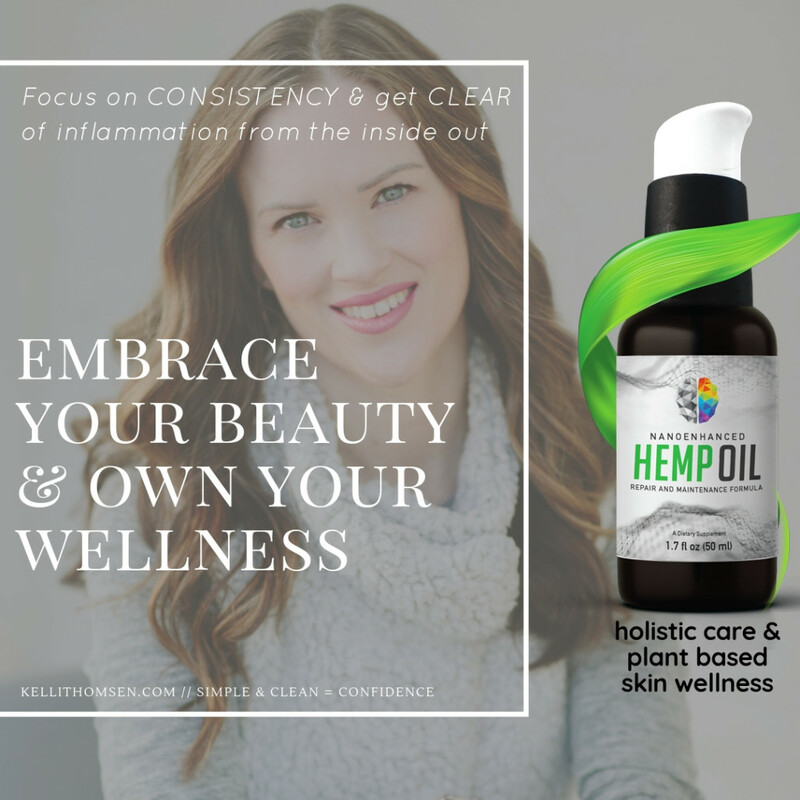 I realized at a young age, watching my mother and sister battle with skin issues, that I was already at a bit of a disadvantage with my skin health, but I was determined to figure out how to heal the inflammation and stop using skin care products and make up that was contributing to it. I got my Facial Technology license in Portland, Oregon, July of 2002 and that is when I started to unfold what was causing my skin to react. Over washing, over exfoliating and all the scrubs and machines I was being told to try were actually starting to have negative effects. Once I learned how our skin functions and what our skin needs to be at it's healthiest state, I quickly understood what I was up against. and countless different antibiotics with NO CONSISTENT RESULTS! Things started to change once I had my license and decided to work for a physician. I was able to get further training and then manage other estheticians and train them on lasers, including IPL, Hair Removal, Rejuvenation, etc. I administered chemical peels of all strengths and performed hundreds of microdermabrasion and dermal rolling treatments. I started to see some great results with these more invasive and costly treatments, but it was a product line called Epionce that took my skin health to a WHOLE NEW LEVEL. For almost 10 years, I have been working diligently to reverse the years of damage I did from thinning and using toxic products and way too much scrubbing. I am seeing what my true beauty is and can  feel my skin barrier is healthy from the inside out. Sharing these products with others and  the healthy results we all are seeing with consistent use is what gets me the most excited. I also get the privilege of waking up to emails and messages from  happy clients feeling their most beautiful, embracing their beauty and owning their wellness. My passion and purpose is to continue to share and educate others about skin health and toxic chemicals, so they can feel beautiful and confident too.